Russia is the target of a multi-faceted, asymmetric campaign of destabilization that has employed economic, political, and psychological forms of warfare — each of which has been specifically designed to inflict maximum damage on the Kremlin. 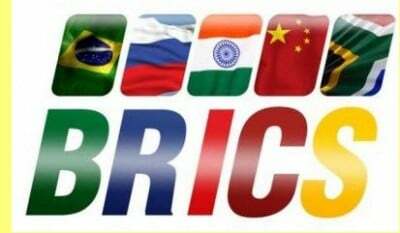 This article is part of a series on Western meddling to foment unrest and destabilize BRICS nations in an effort to ensure the continuation of Western economic and political control over the Global South. The first two parts, focusing on Brazil and South Africa, can be found here and here. Up next: Part II on the assault on Russia, which focuses on the political, psychological and military aspects that run in tandem with the economic war on Moscow. The U.S.-NATO Empire, with its centers of power in Washington, on Wall Street, and in the city of London, is on the offensive against the BRICS countries. This assault takes many forms, each tailored to its specific target. The ongoing soft coup in Brazil has recently entered a new stage with the impeachment of President Dilma Rousseff of the left-wing Workers’ Party. Simultaneously, the destabilization of the ANC-led government in South Africa continues as political forces align to remove President Jacob Zuma. These two situations illustrate clearly the very potent forms of subversion via Western-funded political formations and movements being employed against Brazil, Russia, India, China and South Africa, the bloc of emerging economies also known as BRICS. However, when it comes to a country as large as Russia, with its vast military capabilities, consolidated and wildly popular political leadership, and growing antagonism toward the West, the tools available to the Empire to undermine and destabilize are in some ways more limited. Indeed, in the context of Russia, the popular mobilization pretext does not apply, and so that weapon in the imperial arsenal is blunted considerably. But there are other, equally potent (and equally dangerous) methods to achieve the desired effect. Russia is the target of a multi-faceted, asymmetric campaign of destabilization that has employed economic, political, and psychological forms of warfare, each of which has been specifically designed to inflict maximum damage on the Kremlin. While the results of this multi-pronged assault have been mixed, and their ultimate effect being the subject of much debate, Moscow is, without a doubt, ground zero in a global assault against the BRICS nations. While Russia is a world class power militarily, it is highly vulnerable economically. For that obvious reason, this area has been a primary focus of the destabilization thrust. Russia has for decades been overly reliant, if not entirely dependent, on revenues from the energy sector to maintain its economic growth and fund its budget. According to the U.S. Energy Information Administration and Russia’s Federal Customs Service, oil and gas sales accounted for 68 percent of Russia’s total export revenues in 2013. With more than two-thirds of total export revenues and roughly 50 percent of the federal budget, not to mention 25 percent of total GDP, coming from oil and gas revenue, Russia’s very economic survival has been as dependent on energy as almost any country in the world. In light of this, it’s no surprise that the drop in oil prices over the 18-month period from April 2014 to January 2016, which saw prices dive from $105 per barrel to under $30 per barrel, has caused tremendous economic instability in Russia. Even many leading Russian officials have conceded that the negative impact to Russia’s economy is substantial, to say the least. At the World Economic Forum in January, former Russian Finance Minister Alexey Kudrin explained that not only has the drop in oil prices badly hurt the Russian economy, but the worst may be yet to come. Kudrin noted the potential for prices to drop even further, possibly even below $20 per barrel, and he warned that the impact to the economy will be significant. Specifically, it’s not just the loss of revenue, but the negative effect on wages and the currency which have many economic analysts and political figures worried. According to the Russian Federal Statistics Service, real wages for Russian workers have dropped significantly since the end of 2014, with steep declines throughout 2015 continuing into early 2016. This has been felt by ordinary Russians, whose wages have stagnated while inflation causes prices to shoot upwards and who have had to endure belt-tightening in terms of personal consumption, and at the national level, where the Russian government has been facing a potentially large budget shortfall for 2016. It must be noted, however, that recent months have seen an improvement in the relative performance of the ruble, but the long-term outlook from experts remains gloomy. This has led many Russian analysts and policymakers to advocate yet again for a decreased dependence on energy revenues. They argue that the current climate could force economic restructuring away from the critical energy sector. Aside from Kudrin, Deputy Prime Minister Yuri Trutnev made the case for potential “structural economic reforms,” as did Vladimir Mau of the Russian Presidential Academy of National Economy and Public Administration. The demand for oil as a commodity depends on technological progress…And it’s not obvious that oil as a fuel will be always in demand in times of economic growth. With the change of the technological model, it is not ruled out that oil will become just a stock commodity for the energy and chemical industry. This last point — how oil is used relative to the market — is the most salient; in other words, it’s the financialization of oil. But the analysis must go a step further and explore how the financialization is, in effect, a weaponization process as oil prices become increasingly the playthings of powerful financial institutions, particularly the major banks on Wall Street and in the city of London. And this is no mere conspiracy theory. Indeed, the sheer scope of Morgan Stanley’s market influence demonstrates the obvious fact that the major Wall Street banks, and their cousins in the city of London, are able to significantly affect global prices using multiple levers like supply and derivatives, among others. Due to their physical commodity activities, Goldman, JPMorgan, and Morgan Stanley incurred increased financial, operational, and catastrophic event risks, faced accusations of unfair trading advantages, conflicts of interest, and market manipulation, and intensified problems with being too big to manage or regulate, introducing new systemic risks into the U.S. financial system. A fundamental point necessary to understanding many of our manipulation cases is that financial and physical energy markets are interrelated … a manipulator can use physical trades (or other energy transactions that affect physical prices) to move prices in a way that benefits his overall financial position. One useful way of looking at manipulation is that the physical transaction is a ‘tool’ that is used to ‘target’ a physical price. When one considers how much influence these large banks have on global prices, it’s almost self-evident that they would be able to use oil prices to execute a political and geopolitical agenda. With that in mind, it seems highly suspicious (to say the least) that the collapse of the oil price coincided directly with Russia’s move to annex Crimea and assert its dominance over its sphere of influence, thereby effectively stopping the eastward expansion of NATO in Ukraine. It’s amusing then when one reads The New York Times reporting this month that “simple economics” explains the drop in oil prices. In fact, it’s clear that it’s just the opposite: The collapse of oil is the result of financial manipulation by Wall Street in the service of the broader agenda of the Empire. Of course, Putin was not alone in this assessment, as many international observers spread “conspiracy theories” about collusion between the U.S. and Saudi Arabia to deliberately depress oil prices by not cutting production despite all market indicators pointing to a needed decrease. With U.S.-Russia relations having reached their nadir at precisely that moment, and with Venezuela and Iran also on the enemies list, it is no surprise that many analysts around the world concluded that Washington and Riyadh were conspiring on oil for political reasons. Of course, the other major impact of the oil plunge on Russia has to do with the burgeoning energy-trade relationship between Russia and China. After the massive oil and gas deals announced between Russia and China in 2014 — deals worth hundreds of billions of dollars over the next three decades, it seems that Washington calculated that while it could not prevent the deals from moving forward, it could undermine them by fundamentally changing the calculus of the deals by tanking oil prices. In so doing, not only have the contracts been rendered less profitable for Russia, they are now subject to decreasing demand from China, which is experiencing its own economic slowdown. In short, Russia’s attempt to break free of its dependence on revenue from gas sales to Europe by shifting its focus eastward has left Moscow in a bind. Facing the prospect of significantly less revenue than it anticipated coming from the deals with Beijing, Russia has been forced to adjust its own estimates and outlook for the coming years. The overall impact of Western sanctions against Russia is a hotly debated subject. Russian media tends to downplay the overall impact of the sanctions, while the Western media paints a picture of imminent collapse. Notably, Paul Krugman, the leading liberal doomsayer, prognosticated in The New York Times in 2014 that “Putin’s Bubble Bursts,” warning that Russia was headed for economic meltdown thanks to the courageous sanctions regime imposed by the fearless leader President Barack Obama. IMF estimates suggest that sanctions and counter sanctions might have initially reduced real GDP by 1 to 1½ percent. 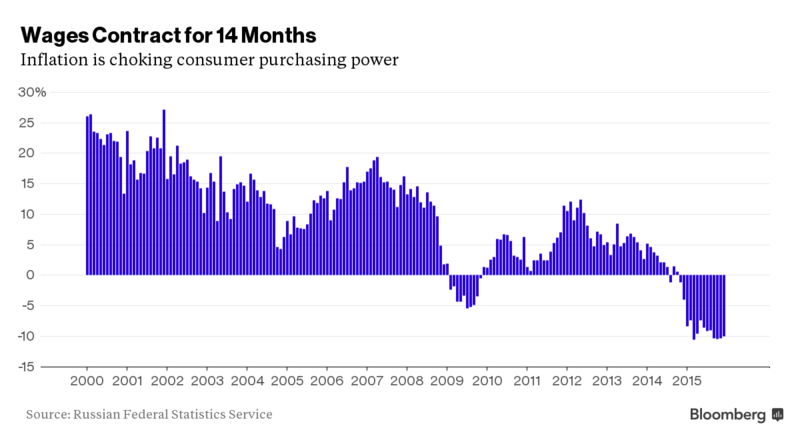 Prolonged sanctions may compound already declining productivity growth. The cumulative output loss could amount to 9 percent of GDP over the medium term. However, the report’s authors underline that these model-driven results are subject to significant uncertainty. But, looking beyond the raw numbers, one must realize that the policy prescriptions outlined by the IMF and leading economists internationally are perhaps the actual target for the West. The IMF recommended “reforming the pension system” (read: reduce pensions), reducing energy subsidies, reducing tax exemptions, and other measures, while also suggesting that education, health care, and public investment be safeguarded. However, the subtext of the recommendations is that austerity, which by its very definition starves public programs of much needed funding, is the way to go for Russia. There are likely strategic planners in Washington who recognize that the political subversion model employed in Brazil and South Africa simply won’t work in Russia. If nothing else, the failed “White Revolution” protests of late 2011 led by Russian liberals and various pro-Western political forces, demonstrated unequivocally that the Russian state was prepared to prevent precisely this sort of outcome. And so it seems that those who play on what former National Security Advisor Zbigniew Brzezinski famously called “The Grand Chessboard,” have made their moves in an attempt to corner Russia economically. Whether that strategy has been, or will be, effective likely depends on perspective. While it alone will not bring about the Western pipe dream of regime change in Russia, the Empire’s elites are banking on the collective assault on Russia and the BRICS broadly to do what political subversion alone could not.